Lahore, Pakistani leading and popular boxer, Muhammad Waseem became the world number 1 in the Fly Weight category in the boxing world. According to the new world ranking of World Boxing Council, Muhammad Waseem has done various big names knock out in the boxing world. He became the world number 1 in the silver fly weight category. The boxer, Francisko of Mexico is present on the second number while Andrew Celebi of UK is on the third position. 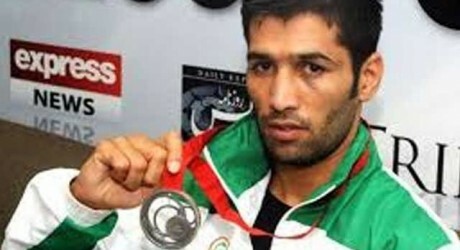 Muhammad Waseem is the first Pakistani boxer, who became the world number 1 and he will also participate in the two training fights of WBC in Panama this July. His new target is to get the gold medal in the fly weight category. He will fight for the gold medal title, which will be conducted in September or October this year.